Kiis 1065 and Kiis 101.1 have launched a $5m cash prize competition. ARN’s KIIS 1065 in Sydney and KIIS 101.1 in Melbourne are offering listeners the chance to make Australian radio history, with a whopping 5 million dollar cash prize up for grabs for one lucky winner. From today, KIIS listeners have the chance to win the biggest cash prize ever offered in Australia – simply by tuning in and listening for the cues to enter. 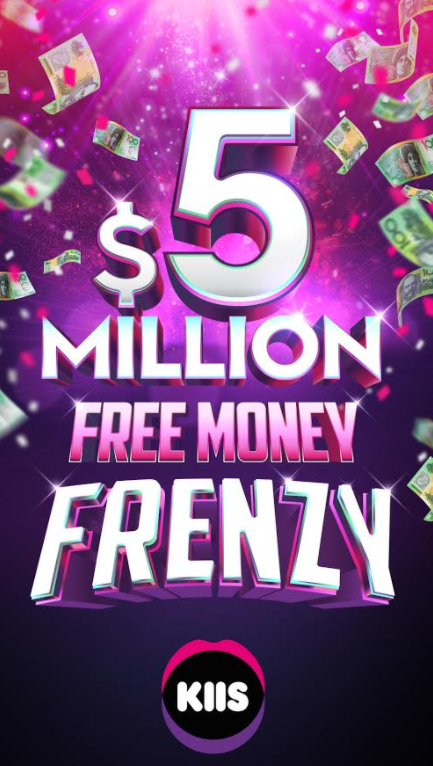 On-air opportunities to win in KIIS’ 5 Million Dollar Free Money Frenzy Giveaway are from at 8am each morning on Sydney’s The Kyle & Jackie O Show or Melbourne’s Jase & PJ Breakfast Show, from 9am – 3pm while you work, and during Will & Woody for the drive home from 4pm. Entries to the competition are open now, go to the KIIS 1065 or KIIS 101.1 websites to learn more.